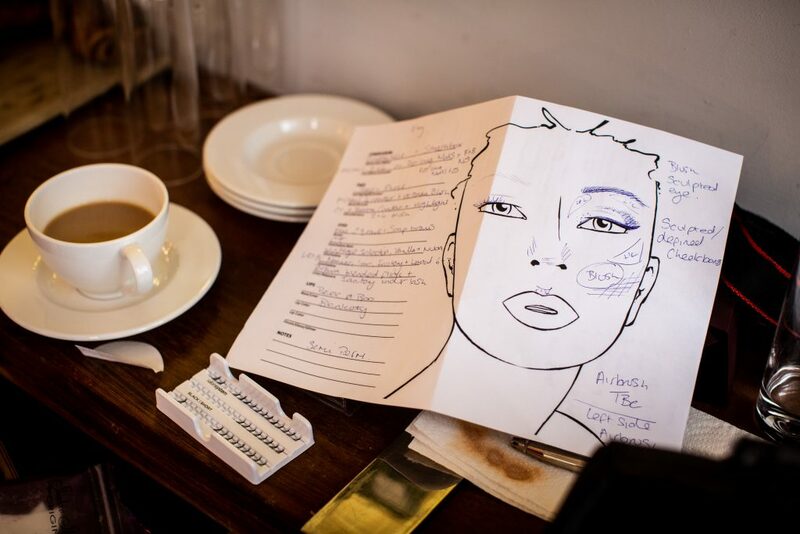 What happens at the initial wedding makeup consultation practice session? The consultation is not timed but I suggest allowing 2hrs for the brides and 1hr per bridal party member. The consultation will need to be carried out during the day because daylight gives the truest reflection of how the makeup will look. I create face charts with in depth notes of every member of the bridal party so I know exactly what I am doing on the wedding day. 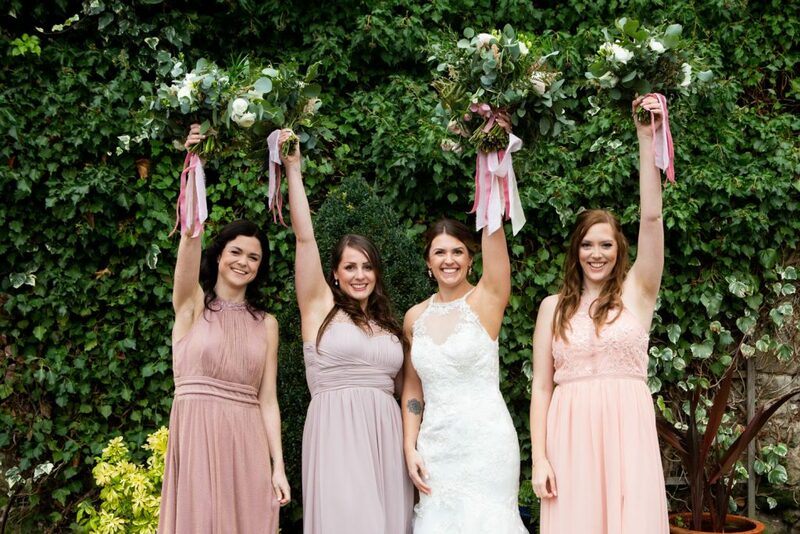 Tips for the bride and bridal party – Come armed with any makeup looks, including colour schemes and wedding inspiration! The wedding day is discussed at the consultation and I provide the bride with a timetable for the morning so she has a clear idea of the makeup running time. I will incorporate the hairstylists times, find out if the photographer needs time with the bride for formal photographs (this will mean getting ready earlier) what style the wedding dress is and how long it takes to get into. Timing is so important on the morning of the wedding and the last thing I would want is to have to rush. I explain that I would allow 45 minutes for each member of the bridal party and 60 minutes for the bride, who I always leave until last. I have the skill to apply the makeup and give advise but when a bride has her ‘perfect wedding look’ in her mind its my job to intemperate it the best I can. This will start by initial chats on the phone or by email and once I meet my brides at their consultation (normally 8 weeks prior to the wedding) we have a chat about their wedding style, their personal makeup style, colours, and discuss images of makeup that the bride likes. I never assume what I do will be the finished article – it will be a ‘work in progress’ until it’s perfect! Once the look is complete we can look at the option of using enhancing the look even more with lashes (strip or individual) Changes are sometimes minimal but other times we can work together to create a much more dramatic finish. I try to use a good cross section of premium products that will last all day and well into the night – whether it is a summer or winter wedding. I have built up my extensive kit through years of working in the makeup industry and the quality and longevity of the products are what’s important when it comes to bridal makeup. I use Mistair and MAC Airbrush Foundation. The silicone formula provides a natural, dewy finish for a healthy, youthful glow on any skin type, delivers a seamlessly blended and absolutely luminous complexion. This beauty breakthrough technology and superior makeup formula work in unison to give you sheer coverage when you want it, and full coverage only where you need it. Diffuse discolorations, fine lines, wrinkles and pores. I continue to invest into new products all of the time. Makeup – Estee Lauder, MAC, Illamasqua, Smashbox, Charlotte Tilbury, Benefit, Smashbox, Mistair, NYX and many more! I like to include as many members of the bridal party as possible, I understand that sometimes its not possible for everyone to attend the consultation. If that is the case I will allow a little more time on the wedding morning so we can discuss their needs before I apply any makeup. The thought of someone else applying your makeup can be daunting for some people. 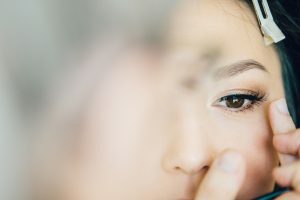 If the thought of someone else applying your makeup makes you feel anxious I suggest that even if they are not sure they should come to the bride’s consultation. They can get to meet me, we can have a chat about it and I can give them the reassurance they need. If they are happy I can then apply their makeup as a trial with no obligation that they have to commit to it on the wedding day. When it comes to the big day I can apply makeup for 5-7 ladies on the wedding morning, time allowing. 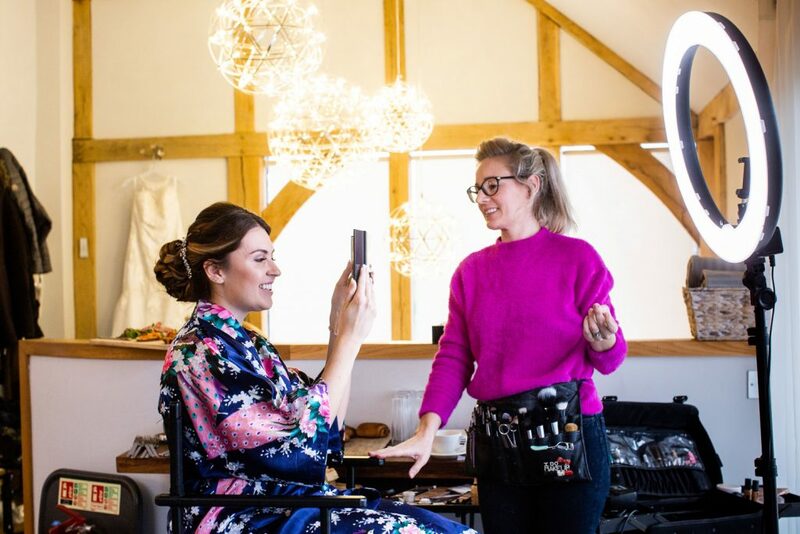 If there is a larger number I have highly skilled makeup assistants that I can book on my brides behalf to work on additional members of the bridal party. I do everything I can to make the wedding morning enjoyable. 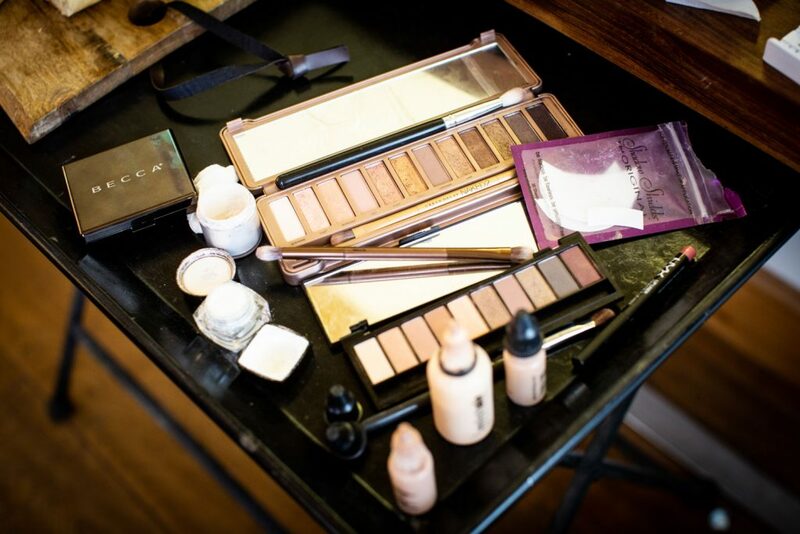 Create beautiful makeup looks leaving the bridal party ‘glowing’ and feeling the best possible versions of themselves! I leave everyone with samples of lipstick/lipgloss that I use and concealer if any of the bridal party happen to have a ‘breakout’ (they may need to touch up later in the day). Do I recommend any other wedding suppliers?